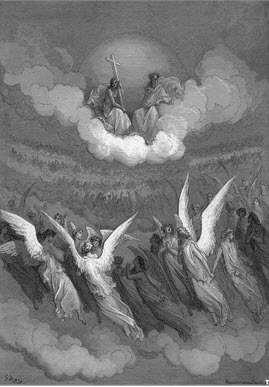 In this section you will find Dore's illustrations for Paradise Lost. Paradise Lost is an epic poem written by the British poet John Milton. The poem was originally published in 1667, and has come to be regarded as one of the greatest works in English literature. Paradise Lost is a dramatic retelling of the Biblical story of Humanity's fall from grace as a result of Adam and Eve's disobedience to God. 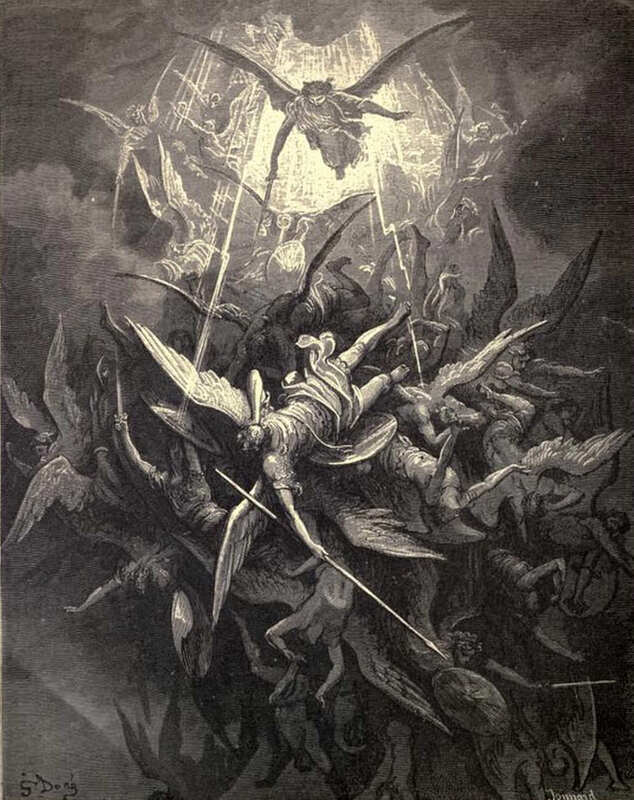 It adds many dramatic elements to the traditional story, of the author's own invention, including a background story depicting the war between the Fallen Angels and God, and explaining why Satan and the other devils sought to bring about the fall of man by tempting and deceiving the first humans into breaking God's rules. As a result of eating the fruit from the forbidden Tree of Knowledge, Adam and Eve and all their descendents lose their place in Paradise (The original Garden of Eden) and are forced to live a life of pain and toil in a depleted earth, which is but a shadow of the abundant garden that they once enjoyed. As with Dore's illustrations for other classic works such as Don Quixote, the Bible and and Dante's Divine Comedy, his illustrations for Paradise Lost are noted for their powerful imagery and their ability to capture and bring to life the essence of the text. 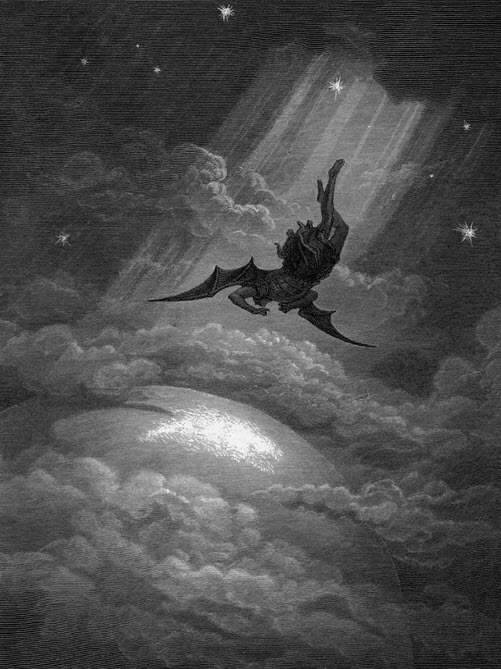 Milton's epic poem tells the story of Lucifer's rebellion against God and his expulsion from heaven, which leads to the temptation and fall of man. Dore's vivid images describe the titanic struggle between the good and evil angels, the lost innocence of Adam and Eve, and the subsquent redemption of mankind. This story and Dore's illustrations, may be seen as a companion to his illustrations of the Bible as well as Dante's inferno.